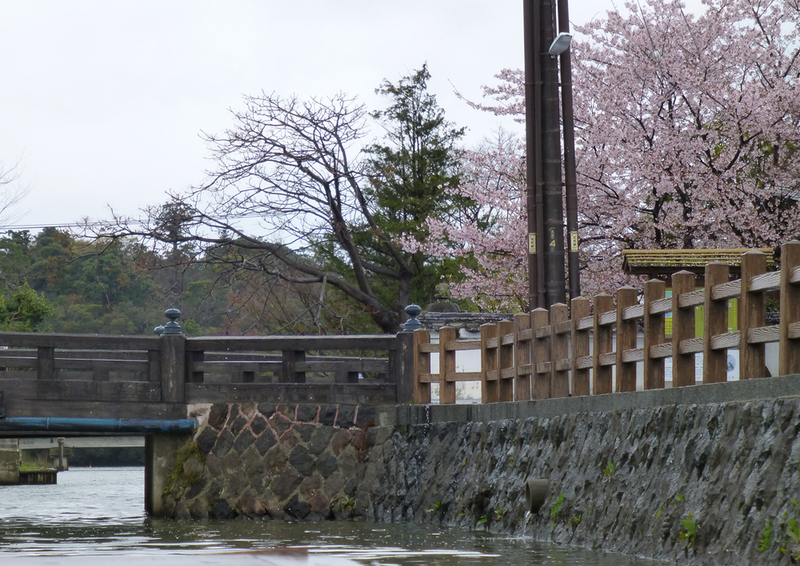 Matsue Castle in full sakura bloom as viewed from the Canal. Matsue is the capital city of the Shimane Prefecture and is known as the 'City of Water' due to its situation right on the edge of Lake Shinji and the distinctive network of canals that thread in and out of the city centre. 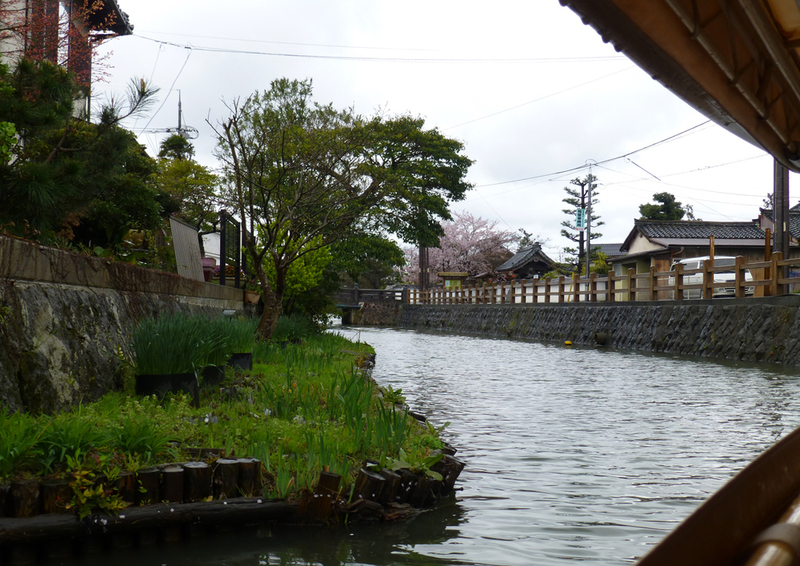 Unfortunately, our day trip to Matsue on the other side of the lake was a shiveringly cold affair so we didn't get far in our explorations before the cold winds and rains drove us away. From what we did see though it looked to be an interesting destination and well worth the visit. 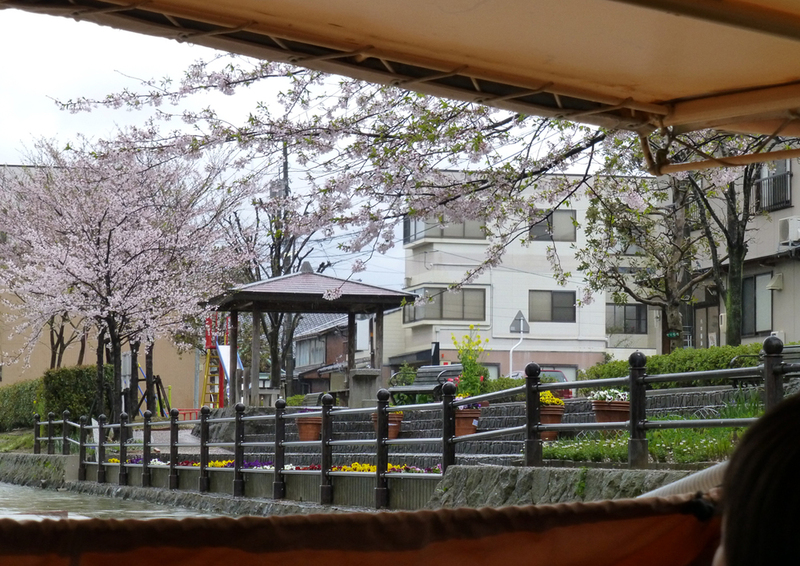 We commenced our tour of Matsue with a boat ride around the canals. The boats are low and the roof can be further lowered at times to go under some of the really low narrow bridges which made for some interesting ducking down of heads. 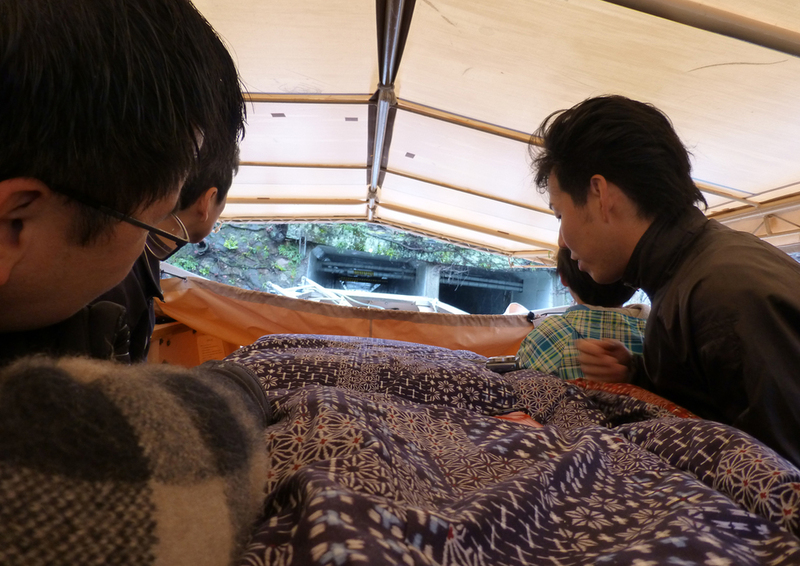 It was a good way to see Matsue but we were frozen through to our bones by the time we got off despite the heated blanket coverings that we were snuggled beneath. The koi pond and teahouse where we enjoyed soba noodles in hot broth. 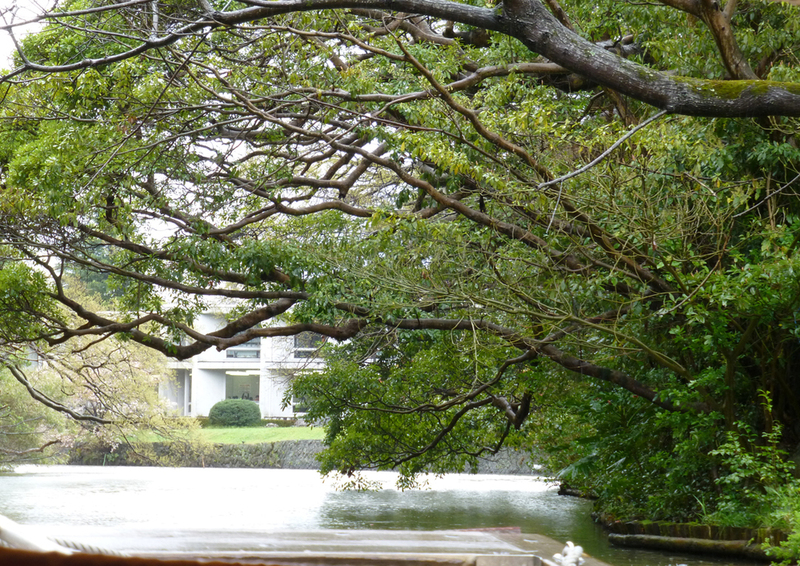 After disembarking we walked along the samurai district and tucked into a warm lunch of soba noodles in broth before making a retreat to the Shimane Art Musuem overlooking the lake. Much of the museum was between exhibitions but we did see some wonderful screen paintings including a few I could have admired all day long. 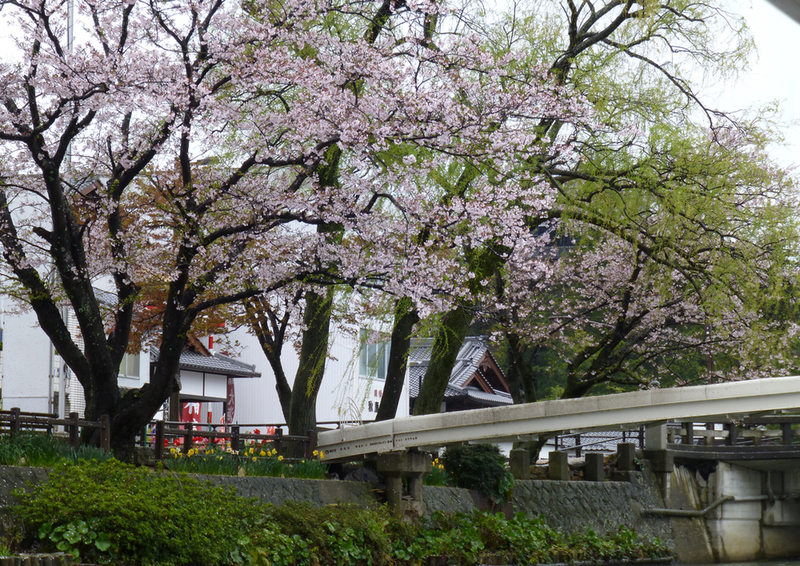 Matsue is well set up for tourists with a hop on hop off tour bus route through all the major attractions – the only difficulty is that all the tourists they usually cater for are fellow Japanese tourists from other areas so there is limited English resources available. Matsue Castle is a major attraction but we were just too cold to continue our tour and were keen to return to the warm embrace of our hot spring tub back at the ryokan. 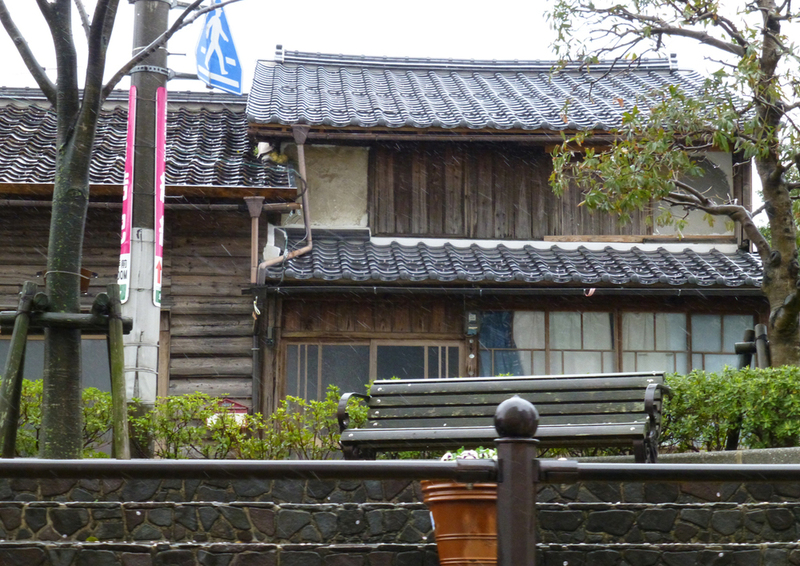 A rainy day in Matsue.